Several of the South Bay cities already have bike infrastructure and bike master plans in place. The purpose of the South Bay Bike Master Plan will be to expand upon and provide a connection between these existing bikeways. Available maps from most of the seven cities involved in the South Bay Bicycle Master Plan are available here. Are you aware of other cities in the South Bay with an existing bike master plan? Email us. 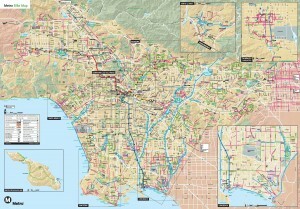 Additionally, the map below shows many of the existing bikeways throughout the County (Los Angeles Metropolitan Transportation Authority, 2010). Please send me any available info. on Hermosa Beach. Thanks. 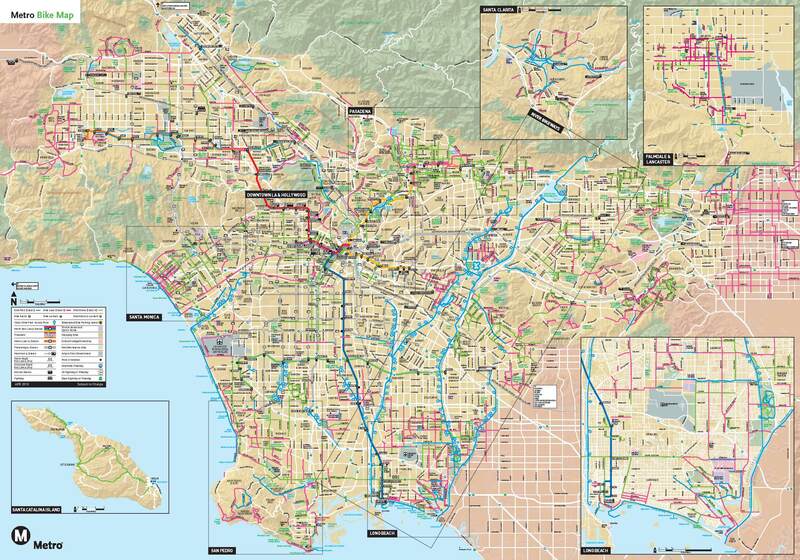 As you know the specific scope of the South Bay Bicycle Master Plan is the cities of El Segundo, Lawndale, Gardena, Manhattan Beach, Hermosa Beach, Redondo Beach and Torrance. We have shared the available information for these cities. Our thinking and broader scope extends beyond the cities and we are aware that there are other cities in the South Bay region that have maps/bikes plans in place or are serious evaluating either refreshing what they currently have on file or developing something new. However we don’t have any specific information at our disposal for any other cities at present. We will gladly add any new info to the site as future efforts play out.